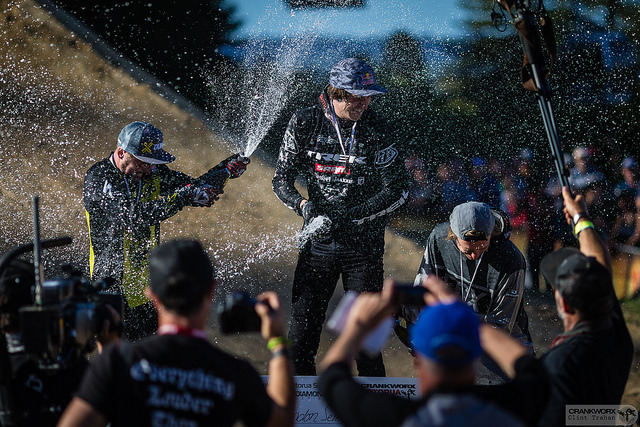 The man who wrote the book on Slopestyle penned himself a new first on Saturday, as the inaugural winner of the Kelly McGarry Memorial Trophy at Crankworx Rotorua. Brandon Semenuk's effortless performance bested even Nicholi Rogatkin's groundbreaking 1080, dubbed "The Twister," on an afternoon no one in the bike community will soon forget. 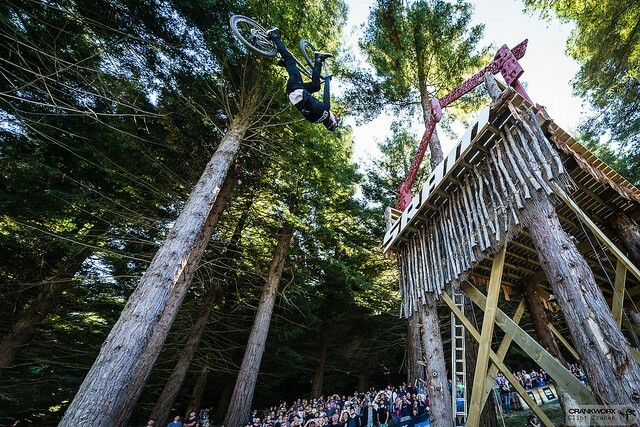 The competition opened with all 18 riders, friends and kids who looked up to Slopestyle’s gentle giant, McGarry, executing a train in his honour, riding back-to-back down the course that will be his legacy. McGarry was both the designer and builder of the Rotorua Slopestyle course, with Elevate business partner Tom Hey, and his passing in early-February, was the only cloud on a stunningly perfect afternoon at Skyline Gravity Park–the weather itself a tribute to the rider known for his golden locks and sunny disposition. "(Kelly) was an amazing person and a really good friend of mine. I spent a lot of time with him, rode with him. He was the happiest soul I know," said Smenuk, who noted the tribute and win were pretty perfect for him as well. 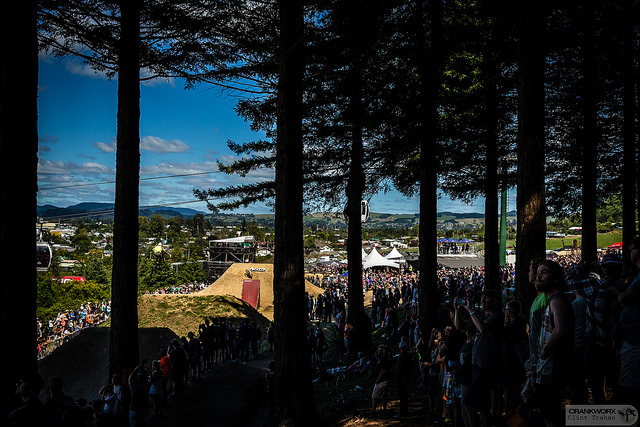 Following a moment of silence, an announcement was made that the competition will be known as the Crankworx Rotorua Slopestyle in Memory of McGazza moving forward, and the riders met the occasion by raising the competition to the highest level. From Semenuk to Rogatkin to the man who challenged the Triple Crown of Slopestyle in 2015, Brett Rheeder, it appeared everyone was ready to pull out new tricks, pull oppo (opposite) approaches and generally push the envelope. "I'm so excited to come back and get a good run on the course. The track's been awesome. Last year, I had a big crash and didn't get to do my second run, which was a bummer, so it's nice to be able to come back and walk away unscathed," said Semenuk. Social media blew up well before the man known for owning Joyride came through to accept his win, the fans clearly declaring a preference for Rogatkin's envelope-pushing trick, despite its shaky landing. In an interview after the competition, the judges indicated it was Semenuk's consistency and grace, which secured the win over the phenomenal single hit. "One guy had absolutely perfect execution, but one had some trick difficulty–being Rogatkin–with a little inconsistency. Tough, tough fight between the judges, between first and second, but once it came down to it, trick for trick, it was Semenuk," said Paul Rak, head judge. For his part, Rogatkin appeared non-shuffed. "…It feels insane to be the first to do (The Twister) in the contest and to have the support of the crowd and the guys…feels amazing," he said. As a result of this win, Semenuk will be the only rider who can make a play for the Triple Crown of Slopestyle in 2016. 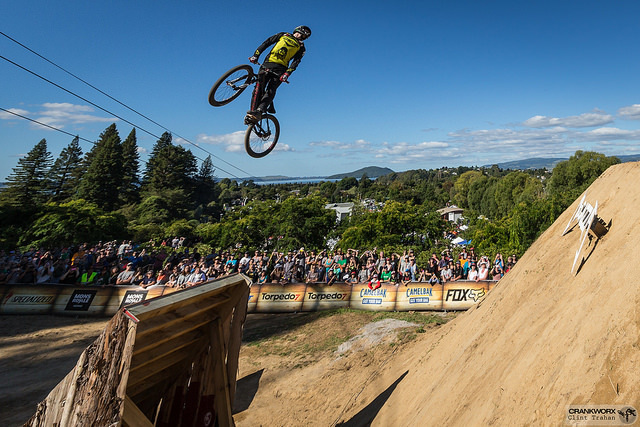 The Slopestyle event was followed by entertainment from DJ Nero and PDiggs and the Deep Summer Rotorua Photo Challenge. Deep Summer challenges the industry's best photographers to assemble a team of riders to build the most creative photography slideshow possible. The shows will be assembled by competitors Zach Faulkner (USA), Callum Wood (GBR), Simeon Patience (NZL) and Sean Lee (AUS).